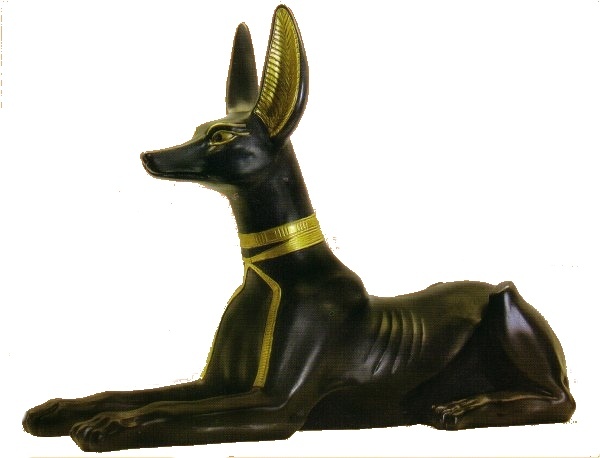 By popular demand we have found a much larger sitting Anubis in black. This beautifully painted and hand detailed solid cold cast resin piece is 12 inches long. That's a full foot of Anubis lying down. He's absolutely HUGE! We have one on a book case and he takes up half of the top of the bookcase. A very solid piece of art, the perfect paperweight for the budding funeral director, post mortem collector, or medical examiner. He is usually shipped separately and weighs roughly 6 pounds.